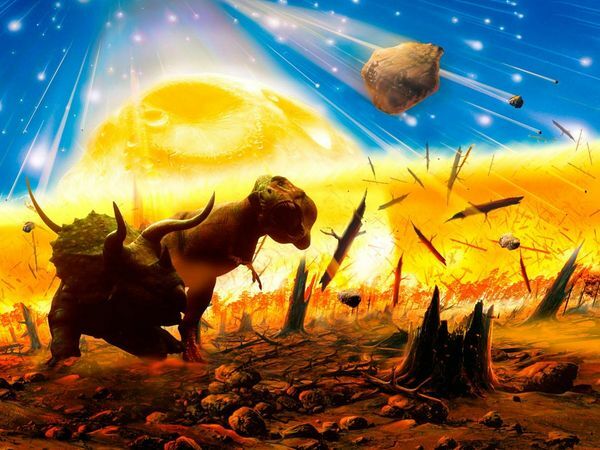 Most scientists believe that Dinosaur extinction was happened suddenly when meteor (or meteors) collided with Earth. A huge meteor that collided Earth, ejected think dust that block the Sunlight long enough. This effect changes the Earth’s climate for a longtime. As the domino effect, no sunrise means no plants. They can’t processing the food and photosynthesize. Some plants would have died out. This means no food for herbivorous dinosaurs. Later, herbivore dinosaurs will go extinct and finally, the carnivores have no food because there’s no herbivore dinosaurs left. Meteor that collided the Earth might be 19km across in size. The collision made 120 miles (193 km) diameter crater. Now we can witness it in Yucatan Peninsula. 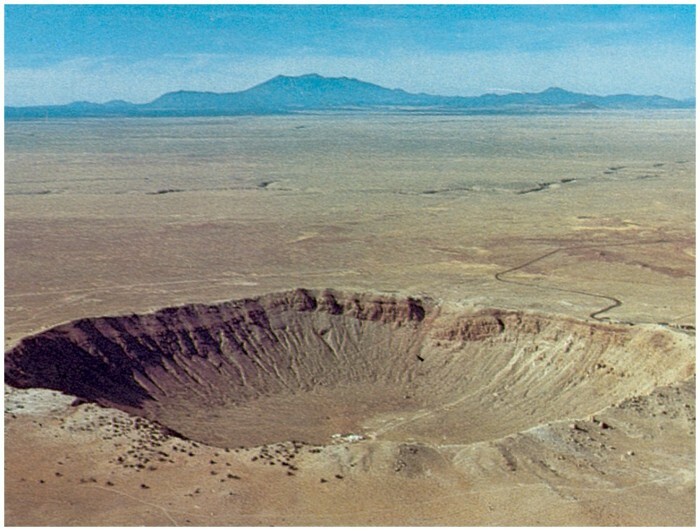 With that huge crater, we can conclude that the meteor collision sprayed debris and molten rock throughout the world. Vaporized minerals thrown into the atmosphere. In the same time, scientists also believe that the asteroid caused the volcanic eruptions on the opposite side of the Earth. So, the Earth was completely covered in dust. There’s no sunrise, no plant, no herbivore, no carnivore means extinction, mass extinction of Dinosaurs. It looks so logic, but have you ever think, how crocodiles, marine species, turtles and mammals survived from the meteor collision? Why were they resistant to the meteor-induced changes? Why, the Dinosaurs, known as best creature, cannot survive?